Dramatic clouds and expansive skies have long been popular subjects for painters. However, rendering them realistically can be quite a challenge for beginners. 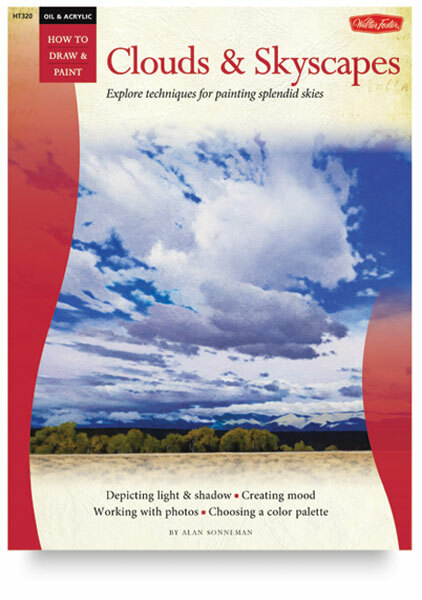 Inside this book, artist Alan Sonneman provides a wealth of information on how to develop beautiful skies in oil or acrylic — from puffy, picturesque clouds over grasslands to wispy clouds over a mountain landscape. 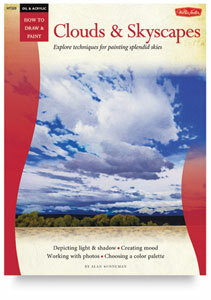 Step-by-step demonstrations simplify the process of painting various cloud types, from cumulus to cirrus. Techniques for creating depth, backlighting, and capturing rays of light are explored in detail. Illustrated with magnificent paintings that both instruct and inspire, this book is a great addition to any painter's how-to library.